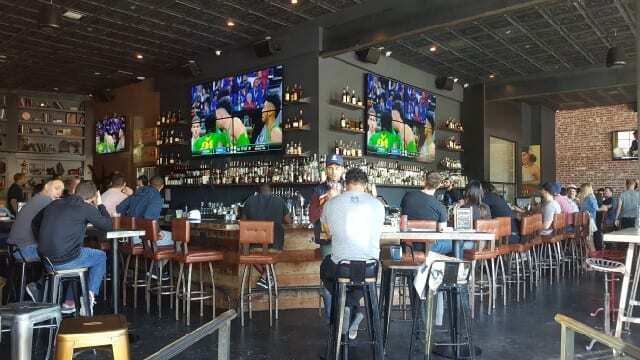 Unlike your typical sports bar, The Nickel Mine has an impressive whiskey selection with more than 50 choices, two dozen draft beers and one dozen wines. 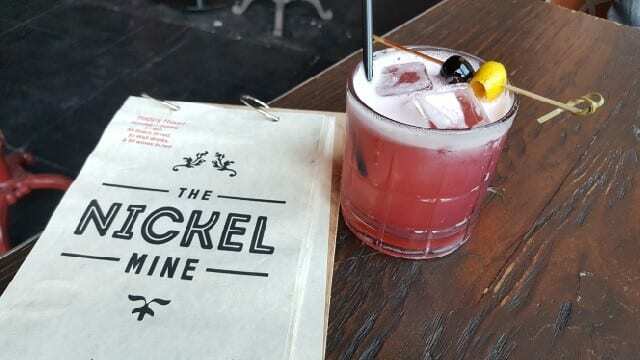 There is also a fun cocktail list that goes beyond typical well-drinks. Purple Rain (vodka, cassis, lemon) is an easy-drinker with dark rich aromas from the cassis and a touch of tartness. 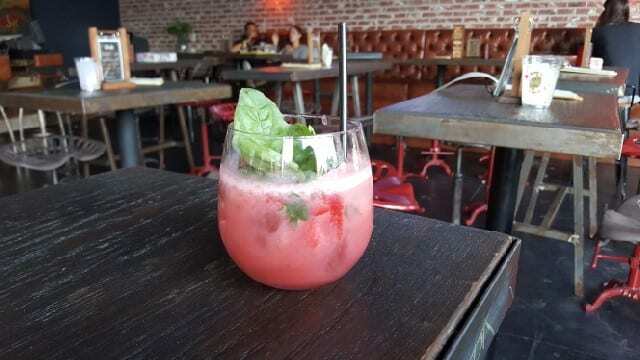 Winter Rain (Nigori sake, cucumber, lime, strawberries, basil) is refreshing, fruity and light. 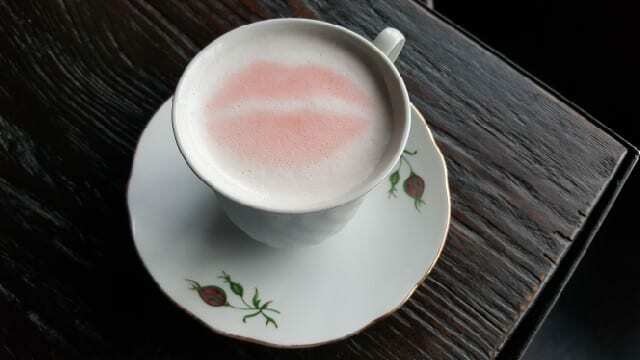 Kiss me, TEAse me (gin, tea, apricot, lemon) is a delicate drink that is as easy to sip as a cup of tea. 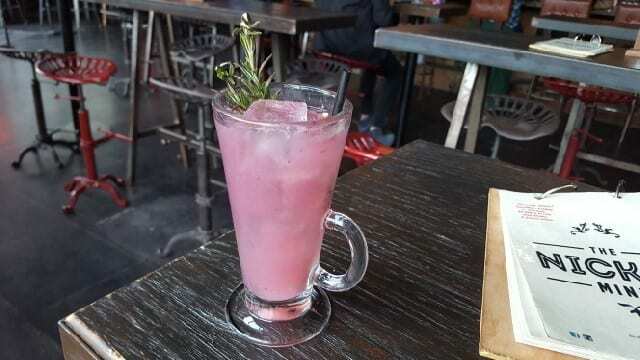 Bison Punch (Bison grass vodka, rosemary, fresh blackberry) looks fruity but is tart and spicy and is dominated by the rosemary aromas. 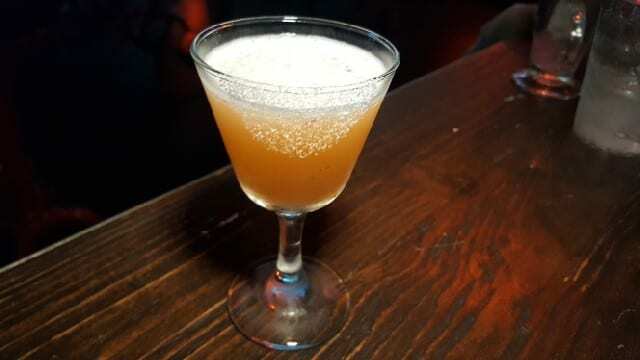 Supercar (cognac, strawberry, orange and lemon) is a play on a Sidecar. It is a rich, savory sipper. 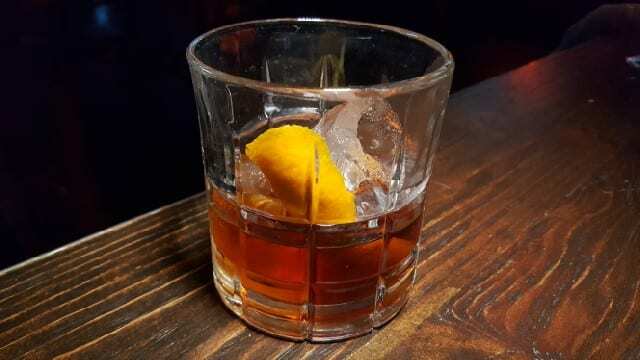 House Barrel Aged Negroni (St. George Terroir Gin, St George Bruto Americano, sweet vermouth) was created, barreled and aged in-house on 11/12/16. 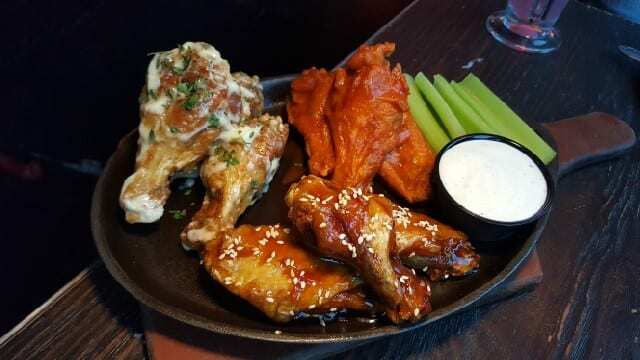 To enjoy with the cocktails, The Nickel Mine offers classic bar food, such as authentic NY-style pizza, chicken wings, garlic knots, spinach dip and salads. 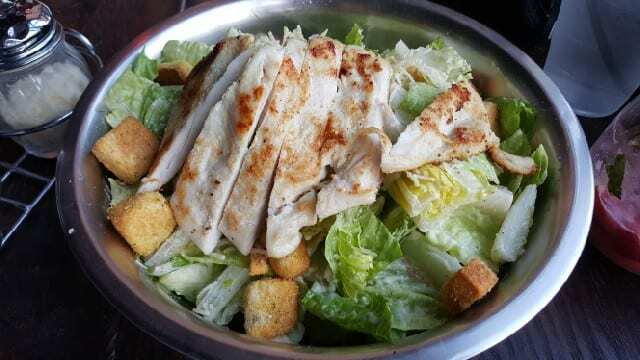 But, using fresh ingredients, these classic dishes are not greasy and processed. 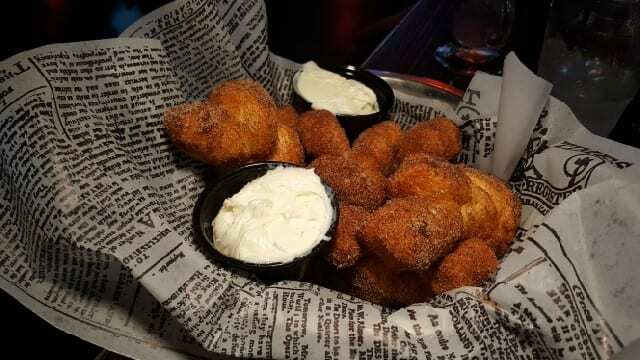 For dessert, try the fresh out-of-the-oven cinnamon knots. 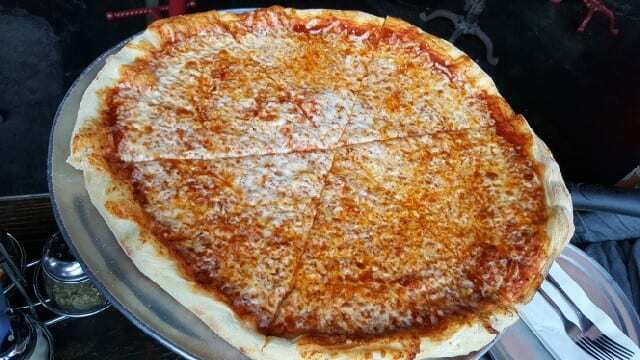 Next time you are looking for somewhere to watch your team play, head to The Nickel Mine to watch the game. And between the sports, food and drink, enjoy a game of Jenga, Connect 4 or Scrabble. Those games can be found on the tables. 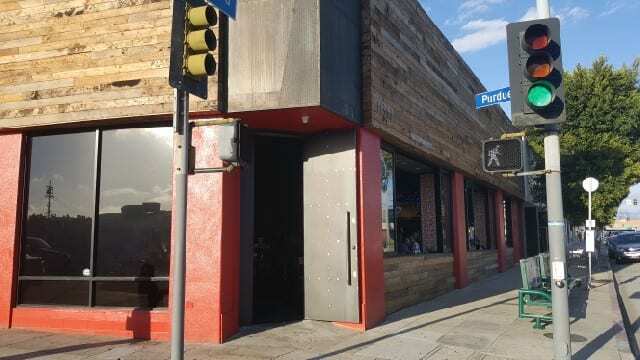 This entry was posted in Cocktails, Food and tagged Authentic NY Pizza, bar, chicken wings, Cocktail Bar, Cocktails, DrinkWire, gastropub, Liquor.com, sports bar, The Nickel Mine, West Los Angeles by Allison Levine.